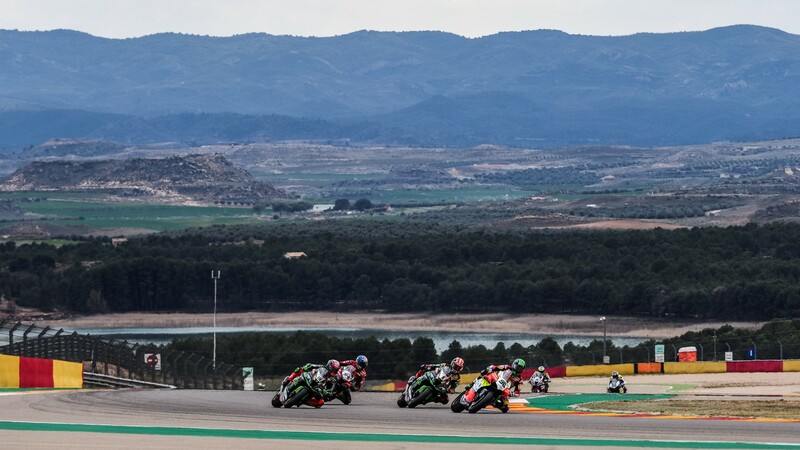 The MOTUL FIM Superbike World Championship goes continental for Round Three of the 2019 season, sending us straight into the winding circuit of MotorLand Aragon. This counterclockwise, 5.1km track is surrounded by state-of-the-art facilities and owns some of the trickiest corners of the championship. But the sensational Spanish circuit holds no secrets for MotoGP™ pitlane reporter Simon Crafar, also a MotoGP™ race-winner and former WorldSBK star. The New Zealander took part in over a hundred SBK™ races in the 1990s and is willing to share with WorldSBK.com some of the key points for the Motocard Aragon Round. … even off the track! “It’s fantastic! To have an affordable racing class that young people can get into is the base of what our sport is built on. Without that, you don’t see as many people coming through. It’s super important. Honestly, I wish some of the bigger classes were like that also! Catch all the action from the Motocard Aragon Round thanks to WorldSBK VideoPass!